It takes a stellar team of solution-oriented, out-of-the-box thinkers to keep 3 regions, over 50 camp locations, one warehouse and countless Go-Karts running smoothly. Galileo’s Operations team works cross-functionally to oversee data management, technology systems, process improvements, facilities, and day-to-day operations of our headquarters and camp locations. There are currently no open positions on this team, but don’t fret. Join Our Mailing List to receive updates when this team is hiring. Our dedicated Field Operations team expertly manages the complex jigsaw puzzle of details that go into elevating the camper experience to be truly memorable. 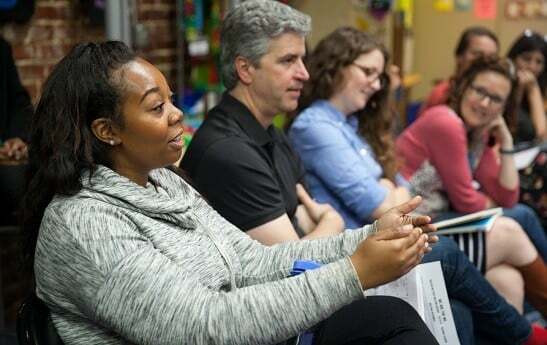 From selecting exceptional Camp Directors to envisioning the next Camp Galileo or Galileo Summer Quest locations to coordinating facility operations, the Field Ops team are the dynamic project and people managers of over 50 camp locations in 3 major metropolitan areas. Galileo’s Customer Service team acts as the voice of Galileo, introducing families to our groundbreaking programming and ultimately, the camp experience. The unique commitment to genuine customer engagement is what differentiates our team. Like the most attentive concierge, our experts deliver high-touch communication, guiding families towards a personalized experience suited to individual camper’s interests. Galileo’s Curriculum team are the torchbearers of our pedagogy. This inventive group of education professionals develops the dynamic material to capture campers’ attention and spark curiosity. Year-round, they create rich, riveting new subject matter that ultimately turns Galileo campers into fearless innovators. 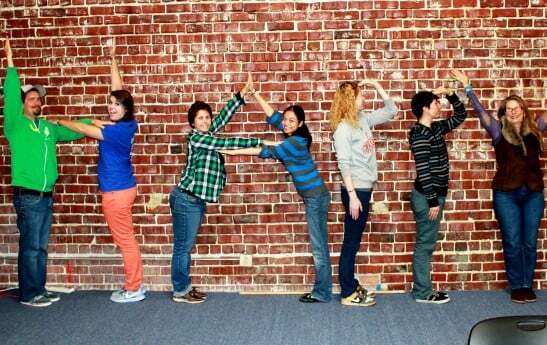 The People Operations team is not your average (ahem, boring) Human Resources department. Everything about the way they approach their work — from the way they attract and select candidates to the quality of service and the benefits they offer to our employees — reflects the pride they take in (and fun they have) hiring and retaining exceptional HQ, Camp Director, and summer staff teams. The Professional Development and Training team creates thoughtful, personalized training designed to help our staff achieve their goals. Our meticulously crafted staff development programs offer abundant support and coaching to our teams. With this customized training plan, it’s easy to see why over 97% of our summer staff say they would recommend working for us. Our Finance gurus are more than bookkeeping and accounts payable aces. They oversee the best financial forecasting to ensure successful camp seasons for the next generation of campers. As we grow, our finance team is committed to building outstanding relationships with their field and HQ teammates through providing support on modeling new program offerings to resource planning for expansion. The Marketing team communicates Galileo’s mission to the world. With superior creative talent, Marketing collaborates with internal leaders and external creative partners to deliver consistent marketing concepts across digital, print, and event audiences. This team is dedicated to sharing how much brilliant innovation is in progress — and how much fun we’re having — at over 50 Galileo locations. We think the world needs innovators. And innovators need tools to help them change the world. Our Warehouse team has got it covered. These masters of multitasking and organization successfully coordinate the purchasing, inventory management, and delivery of all camp materials. Imagine a place filled with glue sticks and googly eyes, pool noodles and paper mache. It’s behind-the-scenes magic in the making, all year long. Our business is summer camp, but don’t let that fool you: we’re an ever-growing company at the forefront of innovation education (with a very healthy business model) all driven by our mission of creating fearless innovators. Our team is dedicated, hard working and a whole lot of fun to be part of, especially if you agree that camp games and projects aren’t just for summertime…or just for kids. At HQ, we consider ourselves the champions of Galileo’s audacious mission, and the torchbearers of our values and culture. Modeled after the Innovation Approach that comes to life in our classrooms during the summer, our values form the backbone of all we do. At Galileo, we believe that leadership can come from anywhere within the organization. We reward success, and put systems in place to help you achieve it. Regular goal setting and evaluation, incredible manager support, and regular touch points to share and receive feedback all add up to a transparent and supportive environment. We also promote a team and family spirit that fosters high-functioning teams and depth of value in our colleagues. We like having a good time at work, so there’s always something exciting happening— themed potlucks, songs and games, or crazy celebrations! It’s all just another day at HQ. Don’t think of yourself as the singing, dancing, costume-wearing type? That’s okay! We know (and love) that our special brand of “campy” takes all kinds! As a courageous and collaborative member of our team, you’ll be inspired to put your own unique spin on Galileo culture, in the ways that feel most authentic to you. We’re a fun group, a smart group, and a diverse group. We’ve got artists and tinkerers, Ivy League and art school grads, bibliophiles and mountain bikers, and a shared love of the work we do. 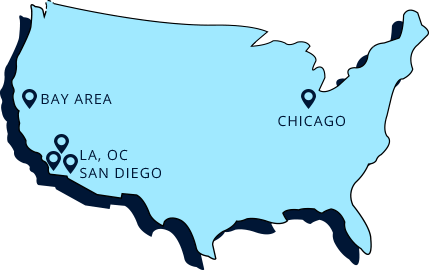 Our year-round HQ team is split between our Oakland office, Hayward Warehouse, and satellite SoCal and Chicago offices. We post year-round positions as they become available, though we tend to do the most hiring in the early to late fall. In addition to our year-round team, each fall we hire seasonal team members (January – June/August) on our People Operations, Customer Service and Warehouse teams, bringing our HQ team up to about 70 (plus 50+ amazing Camp Directors, who work with us from January-August each year). Sound like a perfect fit? See how we’re bringing our brand of fearless innovation to a wider audience of campers through our exciting themes and majors, and hear what our partners say about working with Galileo staff. You can also join our mailing list to get job updates and follow us on social media to stay up to date on opportunities, company news and events.